Metal necklace with hematite plating. Oval shaped fantasy pendant. Colour green and brown. Glas facetted stones and acrylic decoration. 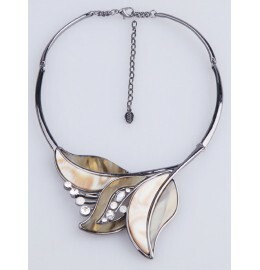 Metal necklace with hematite plating. Oval shaped fantasy pendant. Colour brown tone. Glas facetted stones and acrylic decoration. 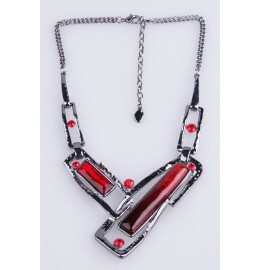 Metal phantasy necklace with hematite plating. Acrylic decoration. Colour blue tone. Facet cut glas stones. 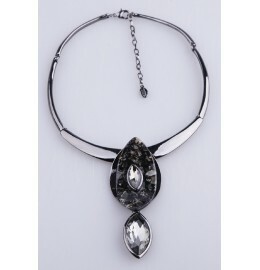 Metal necklace with hematite plating, with pendant. Enameled and acrylic decoration. Colour blue tone. Facet cut glas stones. 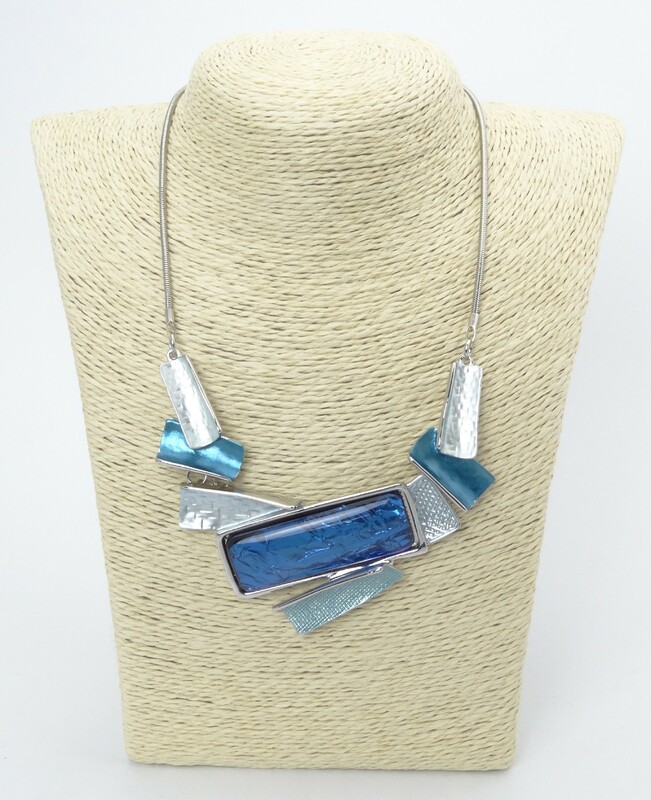 Metal necklace with hematite plating, with pendant.. Enameled and acrylic decoration. Colourred tone. Facet cut glas stones. 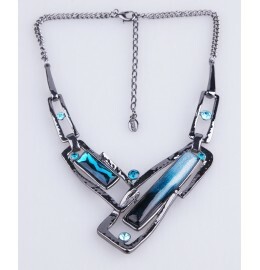 Metal necklace with hematite plating, with pendant. Enameled and acrylic decoration. Colour grey, black and silver tone. Facet cut glas stones. Metal phantasy necklace with hematite plating. Enameled and acrylic decoration. Colour brown tone. Facet cut glas stones. 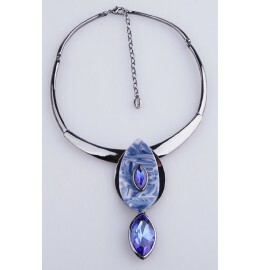 Metal phantasy necklace with hematite plating. Enameled and acrylic decoration. Colour green and blue tone. Facet cut glas stones. Metal phantasy necklace with hematite plating. Acrylic decoration. Colour red tone. Facet cut glas stones. Metal necklace with pendant, hematite plating. Acrylic decoration. Colour black and grey tone. Facet cut glas stones, colour black diamond. Metal necklace with pendant, hematite plating. Acrylic decoration. Colour blue and pink tone. Facet cut glas stones, colour blue.